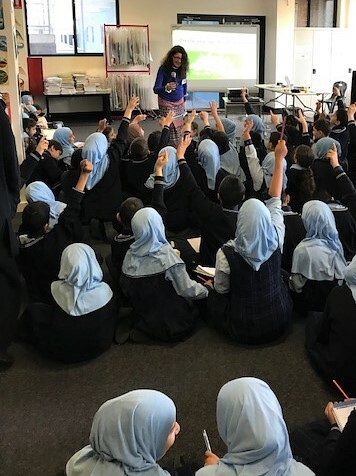 Book Week School Visits – Escape to Everywhere! The theme of the Children’s Book Council of Australia Book Week this year was ‘Escape to Everywhere’. It felt very appropriate for me personally, as I drove to areas unknown to visit a couple of lovely schools. I left the bustle of Sydney’s inner South and found myself driving along country roads lined with trees and cows and sheep. Luckily there was civilisation not too far away! I visited Al Faisal College’s Minto and Austral campuses, where I received wonderfully warm welcomes. The kids were adorable and very enthusiastic. I’ll never forget the questions the youngest kids asked me. ‘Do you like writing?’ was the most common. ‘How long have you been writing?’ was another. ‘Where do you get your ideas?’ was the hardest to answer, because I don’t know. They just sort of … appear. But the most astonishing question I got was ‘How old are you?’ Note to self: do not ask them to guess. Answers ranged from 27 (I happily agreed with that one …) to 60 (nearly passed out …) I guess anything over 20 to them is simply ancient! 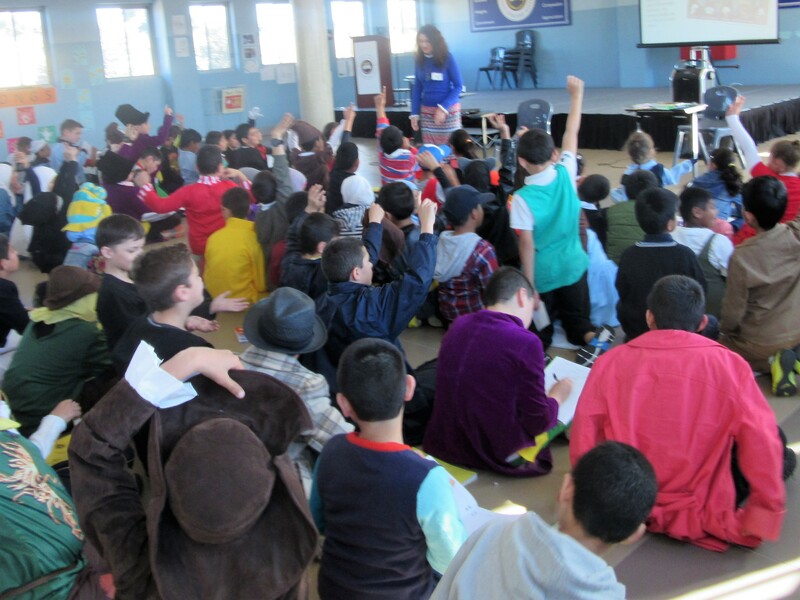 The older children asked more penetrating questions: ‘How do you deal with writer’s block? (I go for a walk), ‘How old were you when you first started writing? (nine) ‘Do you make much money from writing? (hollow laugh). I had a marvellous day meeting sparkling children and hospitable teachers. Thank you to Five Senses Education and my publisher at Steve Parish books for organising the visits. Glad to see that you’re busy and doing well. Thanks Evelyne! Nice to hear what sort of questions you get asked. So now I’m curious … how do you say Stella in French? But I’m sure that you can find some little Stellas in France now. It’s easier with Peter or Alexander for example. Pierre. Alexandre.